Wow – I can’t believe that after almost two years of dreaming, planning, working, and waiting, Big Beach Builds FINALLY premiered Monday night with episode 1: “Amazing A-Frame” (read my episode 2 recap here). Having my own TV show was never really something I thought about, and the idea of being in front of a camera initially scared me to death. But it was an opportunity I couldn’t pass up, and I’m elated that I didn’t. 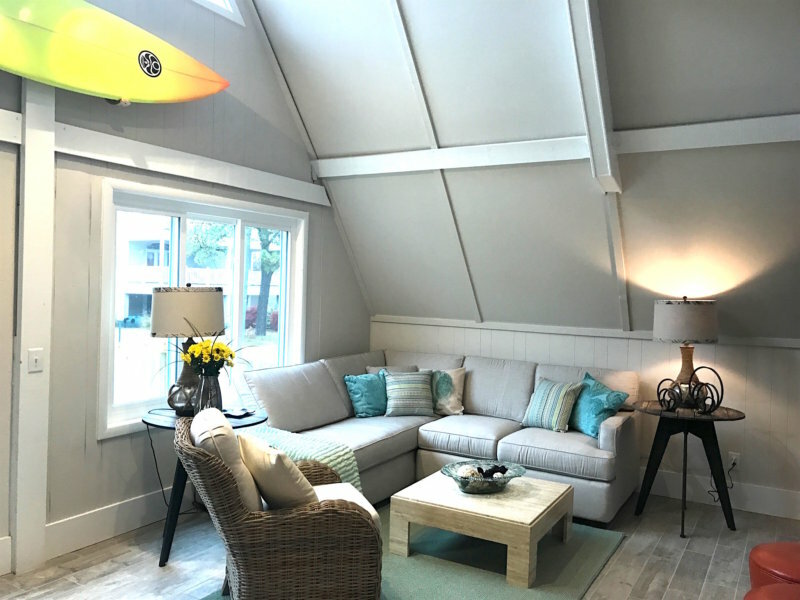 This experience has been transformative not only for the families who saw their dreams of a beautiful beach home realized on the show, but for me as well. In ways both large and small, I have been changed for the better and I’m grateful every day that I get to live this life. But I couldn’t have done any of this without you – my family, friends old and new, colleagues, acquaintances, and all the new faces out there (hi and welcome!). Through your love, support, enthusiasm, kind words, and helping hands, I was able to share my little slice of the Delaware shore with the whole country, and I couldn’t be more delighted. So thank you, from the very bottom of my heart. I hope you enjoy the show all season long! 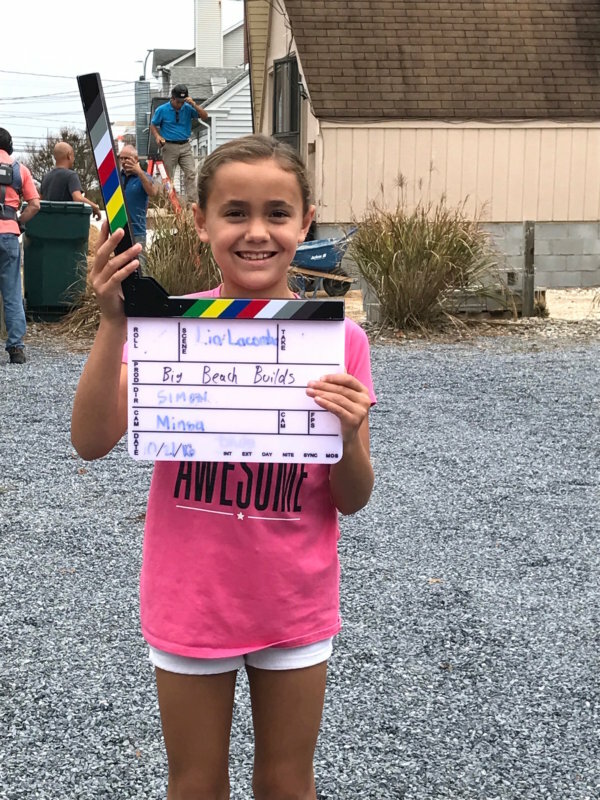 “Amazing A-Frame” was the first episode we filmed. 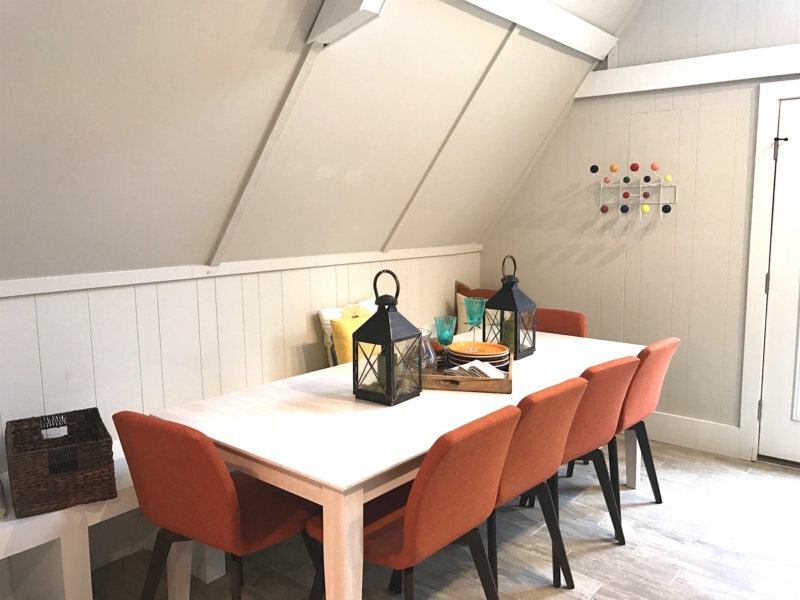 The A-frame home that my clients bought was very special to me – the first home I ever purchased and renovated was also an A-frame (and a dump, but that’s another story). 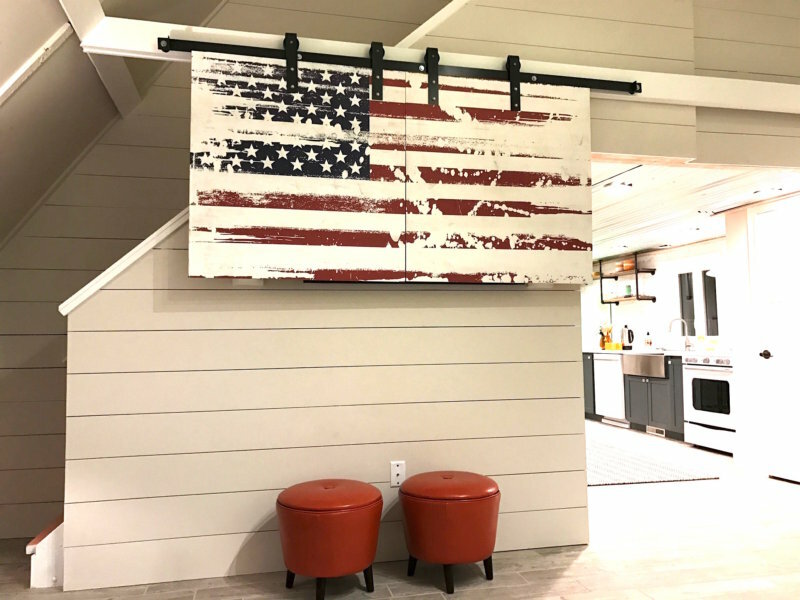 This home style is quintessentially beach around these parts, and I loved that Brittany and Ray wanted to keep the style of the home while updating it for their needs. 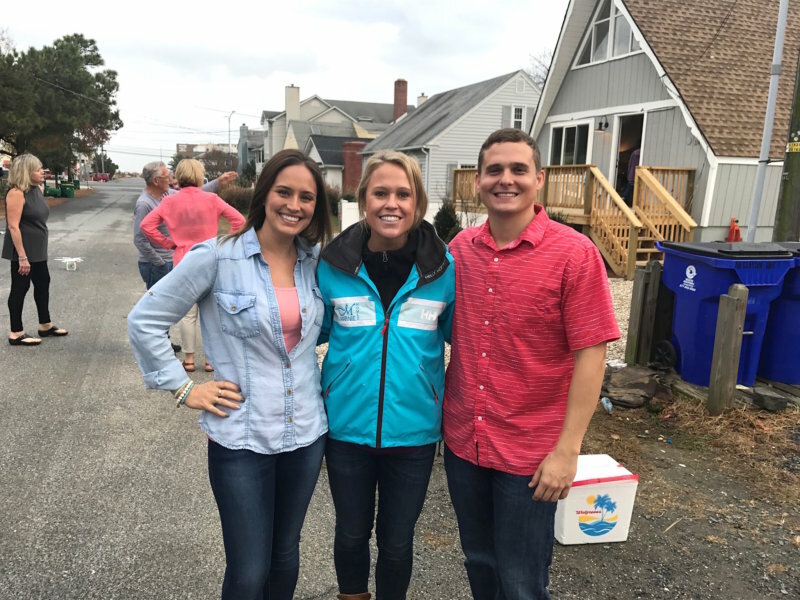 A little about Brittany and Ray: Brittany was a lifelong Delaware beachgoer and met Ray, a surfer, on a beach in California one morning. Years later, and now engaged, the couple was ready to start their lives together – and wanted include the beach since that’s how their relationship began. 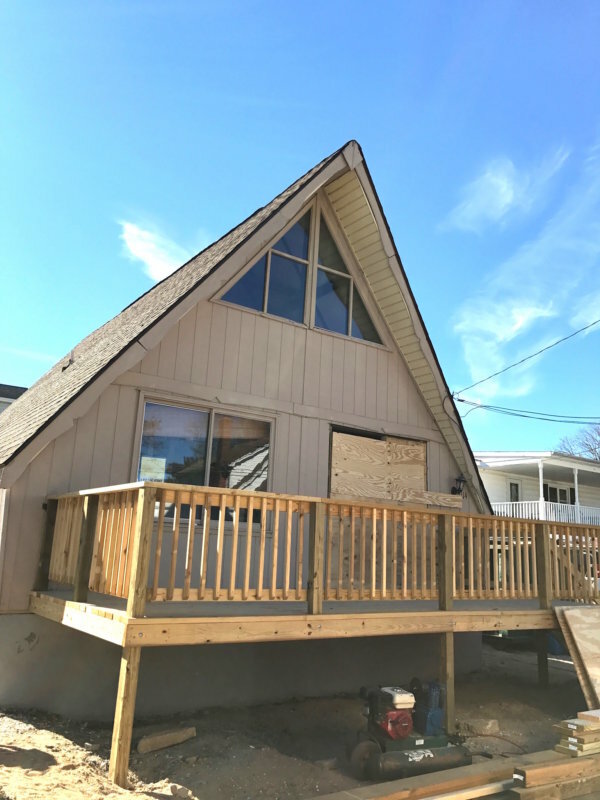 They loved the style and old coastal town vibe of this former Dewey Beach lifeguard shack, but they knew it wouldn’t work for the large gatherings they wanted to host and the family they wanted to create. So Brittany and Ray turn to me to transform this former party house into a home suitable for family life. 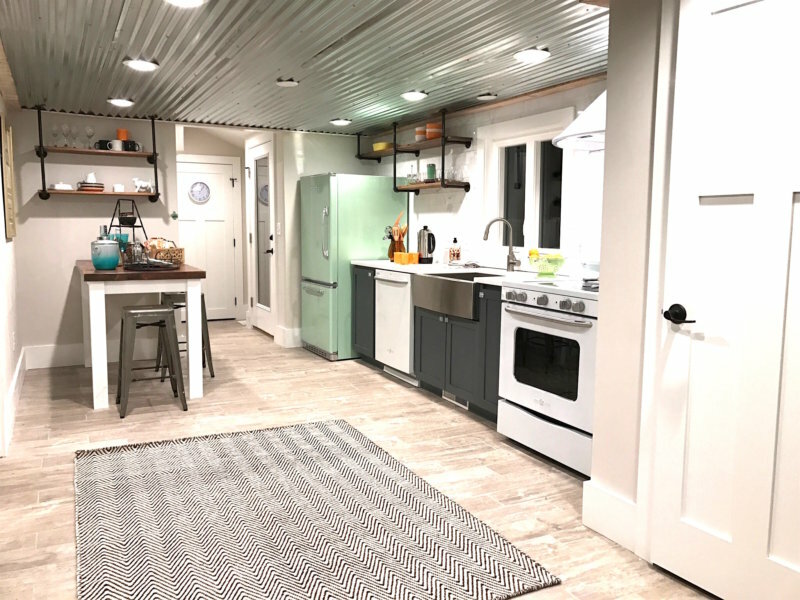 Problem: The extremely outdated kitchen was situated in the back of the house, separate from the living room at the front of the home. This created an awkward and inconvenient entertaining space. The bunk beds that were currently located in the living room completely lacked privacy and cut the living space in half. There was also a bedroom between the living room and kitchen that, due to its proximity to the shared living area, was noisy and inconvenient. 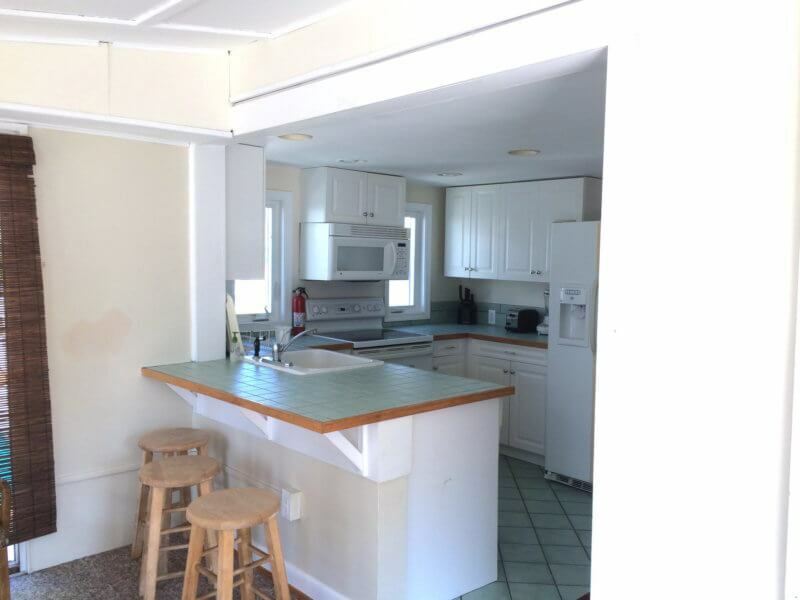 Solution: I moved the kitchen toward the front of the house to create one big, open living area – perfect for beach living and homeowners who like to host. I was able to do this by relocating all of the sleeping areas to the back of the home and upstairs into the loft (more on this below). Problem: This small footprint and awkward layout of this home limited the number of people who could sleep there. 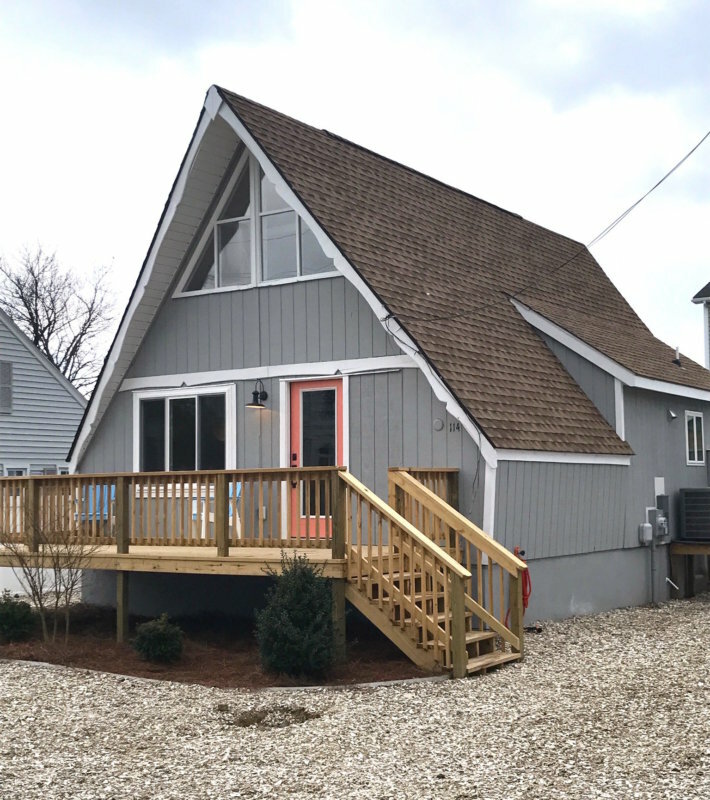 As a lifeguard shack, privacy wasn’t much of a priority, but since Brittany and Ray intended to share this home with loved ones and a family of their own, having quiet, secluded sleeping quarters was a must. The upstairs loft also didn’t sleep as many people as they had hoped. These bunk beds sleep a ton of guests with a large queen on the bottom and two twin beds on separate levels above. Drawers in the stairs and built-in cubbies add extra storage. 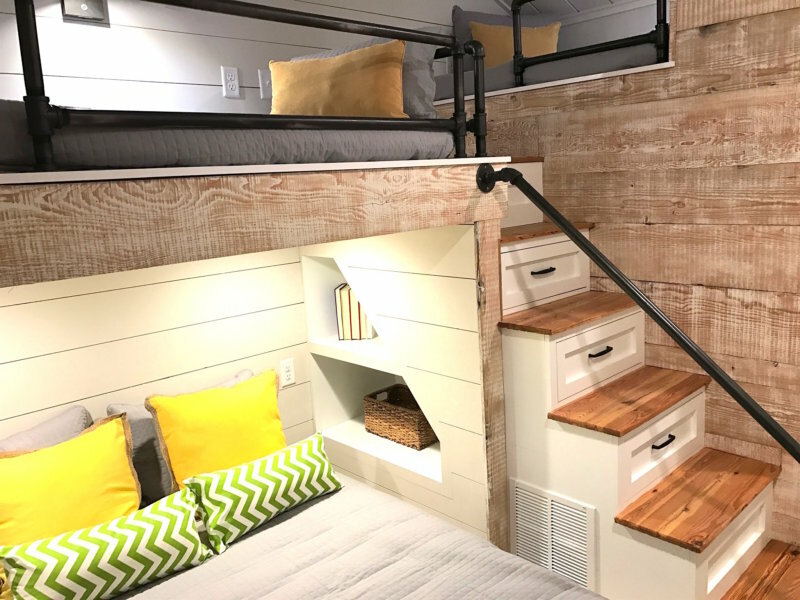 The bunks required lots of planning to get them just right, but they were so worth the effort! Solution: I moved all of the sleeping areas/bedrooms to the back of the first floor and created a useful sleeping space in the loft. With the kitchen now relocated to the front of the house, the back was the ideal place for bunk beds for visiting children (or adults!). Problem: The front and back porches on the home were old, unstable, and completely unsafe. 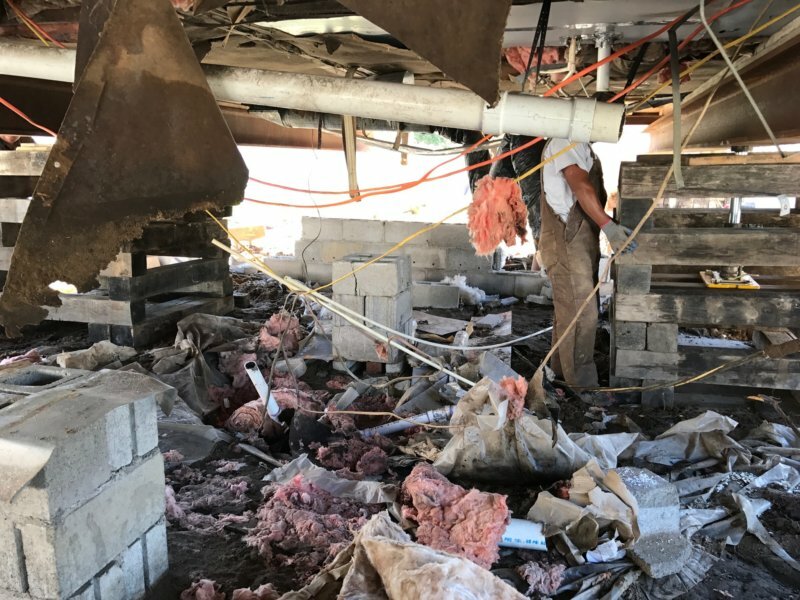 The back porch was crumbling and completely unusable, which really limited the amount of space the couple had for entertaining or enjoying the outdoor living that the beach is all about. Solution: I demolished the deteriorating back porch and built a brand new deck on grade. 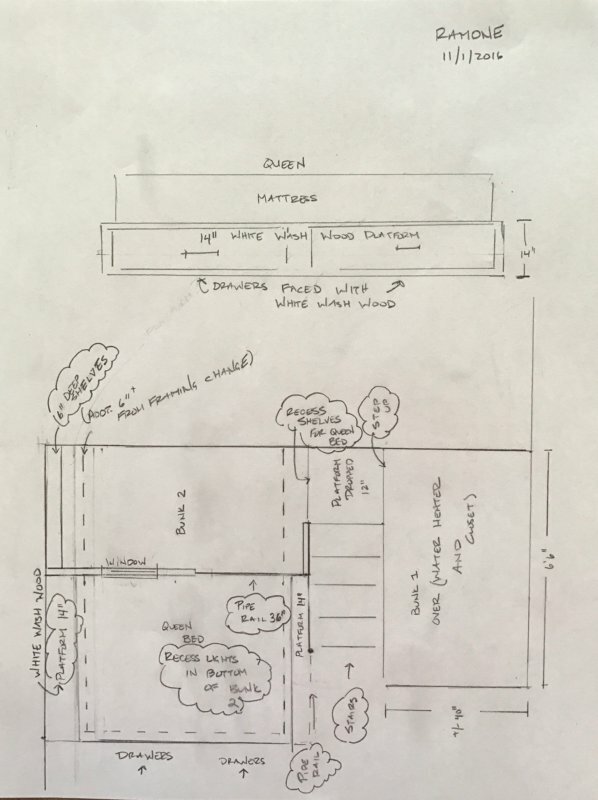 I also created seamless entries in and out of the home to improve indoor/outdoor traffic flow. Lastly, I reinforced the front porch to make it a safe space the whole clan could enjoy. 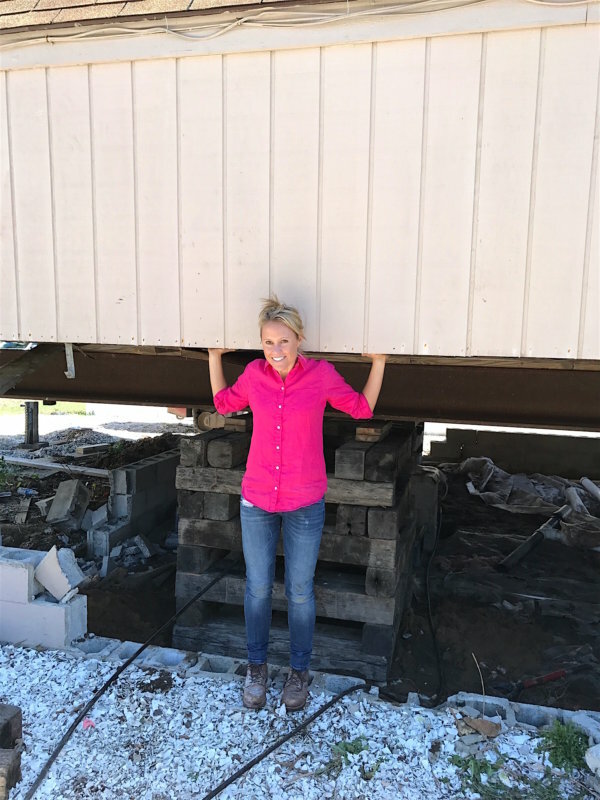 Problem: Upon inspection of the home, my team and I discovered that the foundation was highly unstable, literally crumbling in some parts and being supported by flimsy 2x4s in others. The home also didn’t meet new FEMA base flood elevation guidelines. 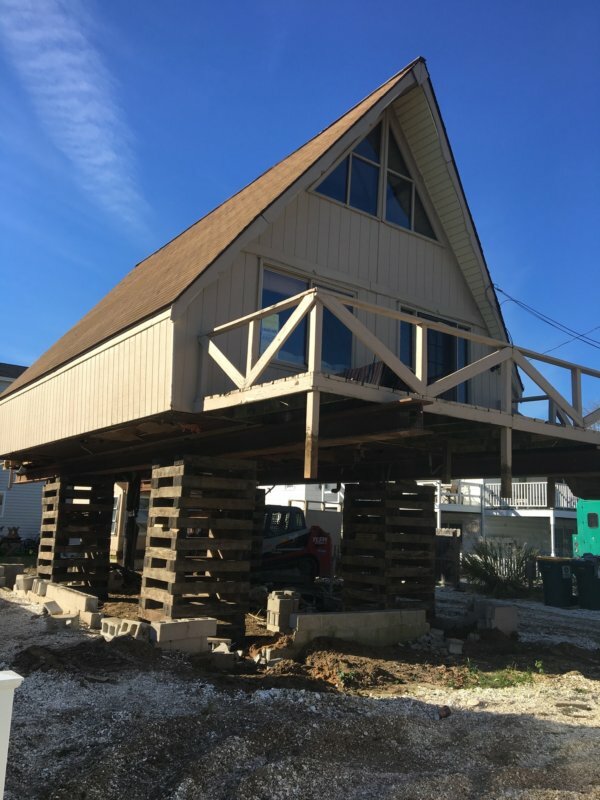 Solution: The only option was to raise the entire home 12 ½ feet and restore the structural integrity of the foundation before any demo could occur. 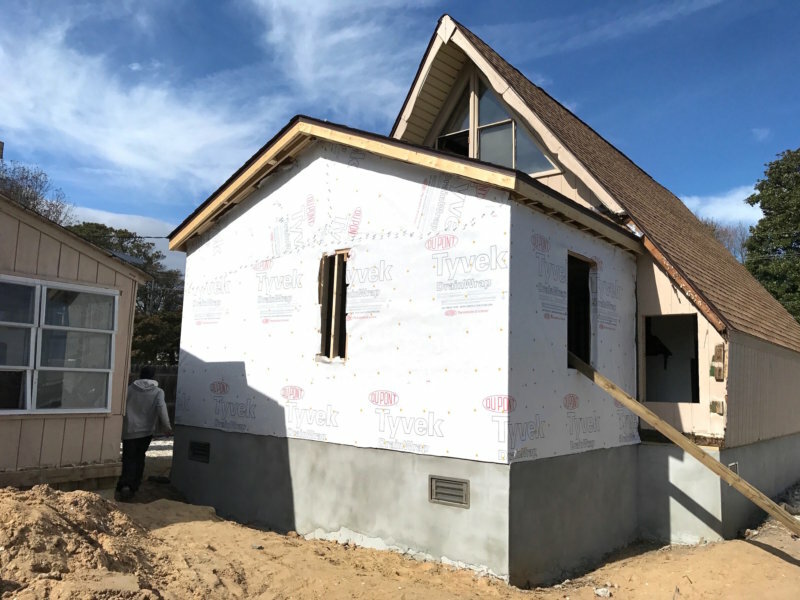 Once completed, the new elevation met FEMA guidelines and provided a safe and sound foundation that will allow the home to stand strong against the high tides and hurricanes of beach living for years to come. A built-in banquette with cubbies provided extra storage for this growing family and plenty of space to host guests for large meals. 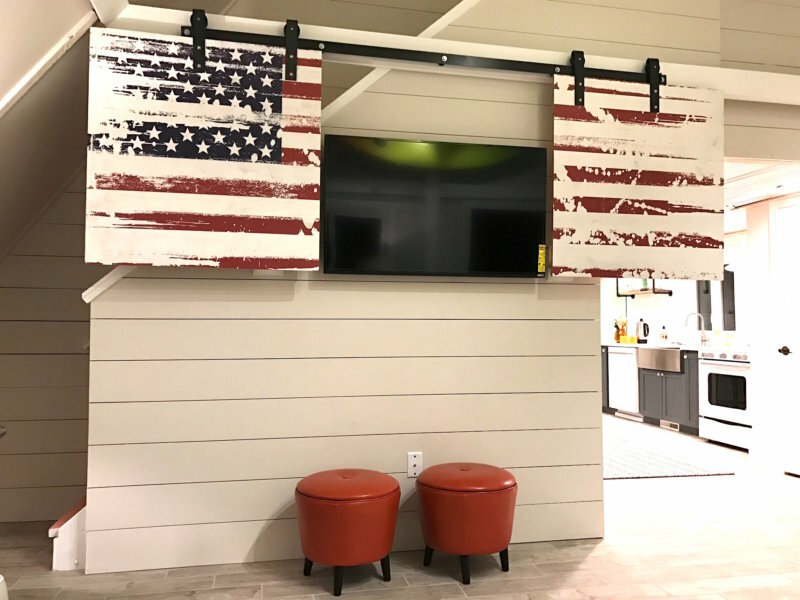 A distressed wooden flag on sliding door hardware created fun art that covered the TV, so it’s there when the couple wants it and gone when they don’t. 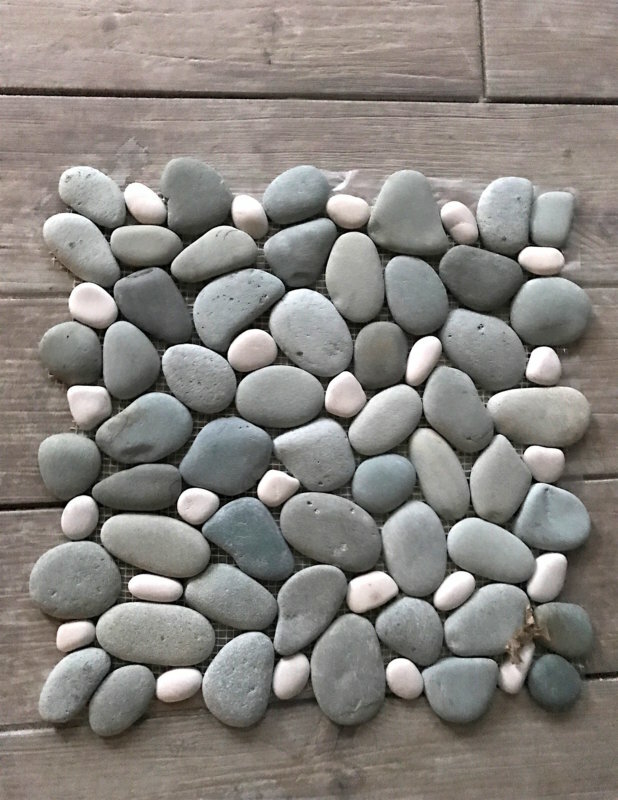 I wanted this home to feel truly beachy, so I installed this pebble tile on the shower floor (bonus: these little ‘stones’ act like tiny massagers for your feet!). The wood look tile in the rest of the bathroom and elsewhere in the home gives the texture and warm appearance of wood without worry that wet, sandy feet will destroy it. Catch two more brand new episodes of Big Beach Builds next Monday at 9/8c on DIY Network! And read my Episode 2: The Beach Gut recap here.